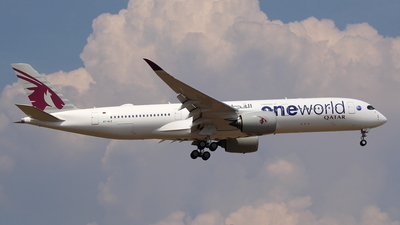 Note: Qatar's oneworld logojet arriving as QR946 from DOH. 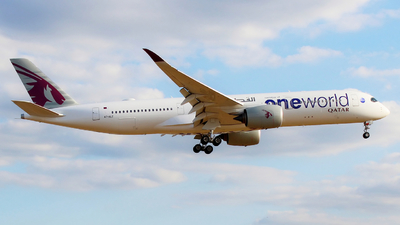 Note: QR7 from Doha (DOH) arriving on RWY 27L. 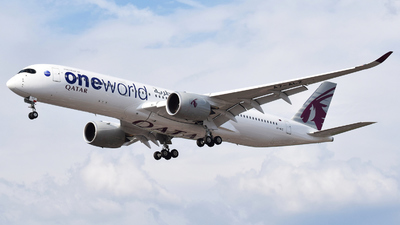 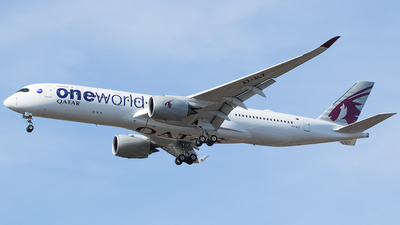 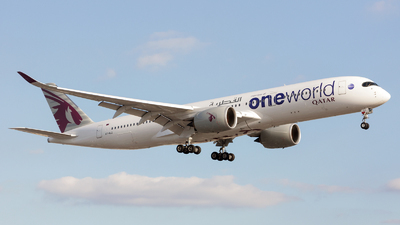 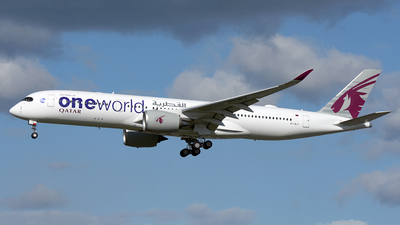 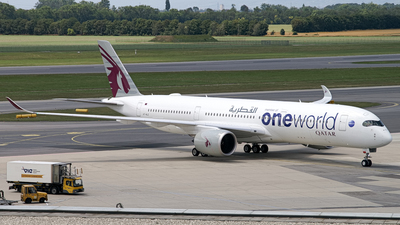 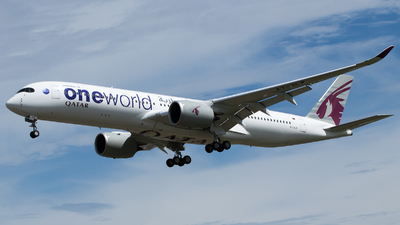 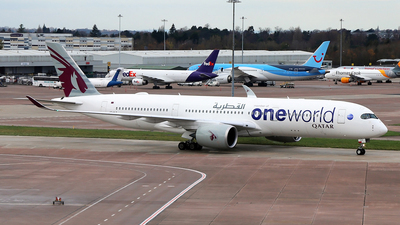 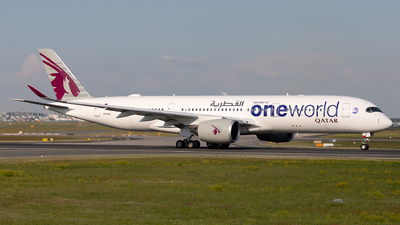 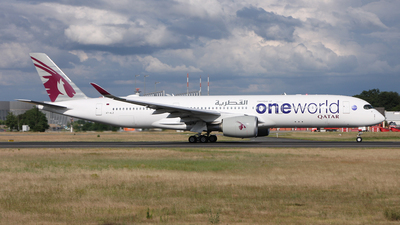 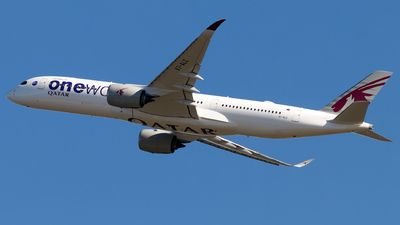 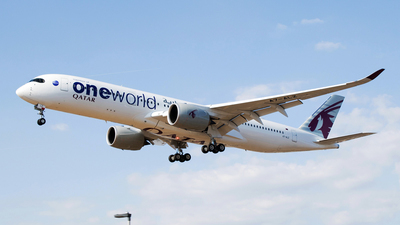 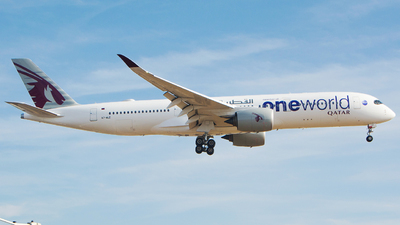 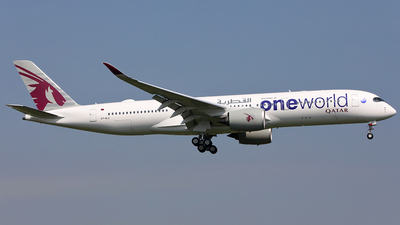 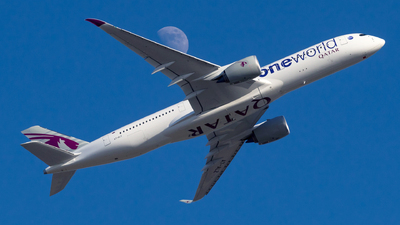 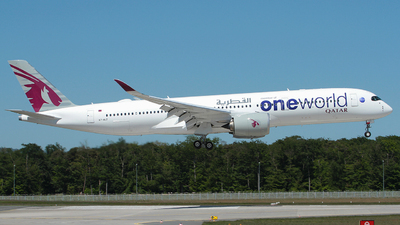 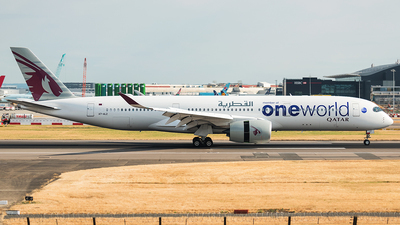 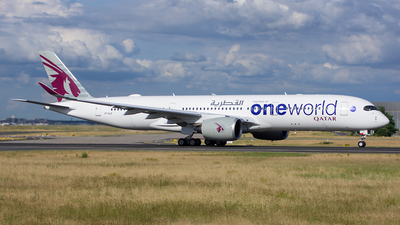 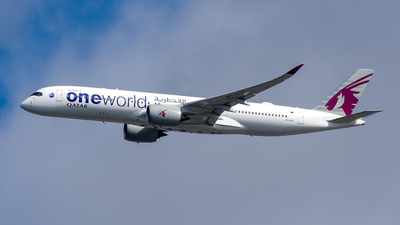 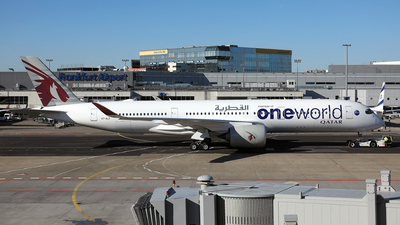 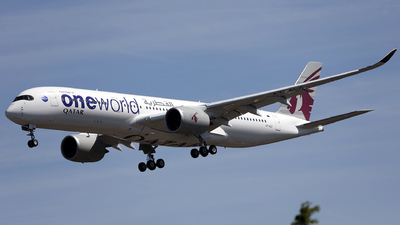 Note: Oneworld livery, the A7-ALZ is the second aircraft with the new Qatar Airways Q-Suite Business Class. 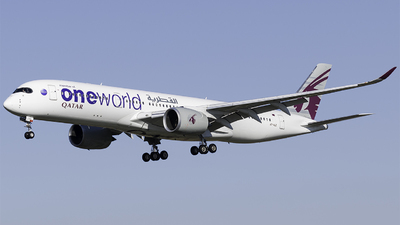 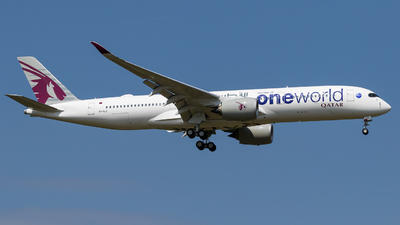 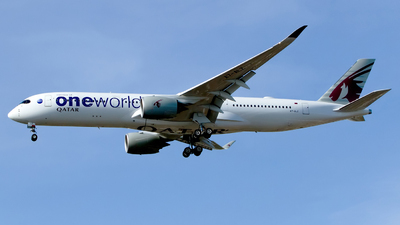 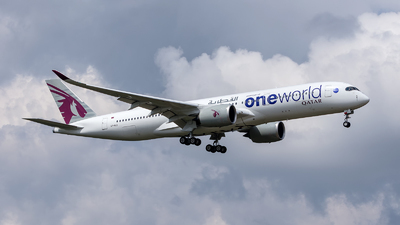 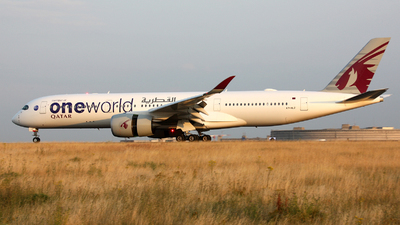 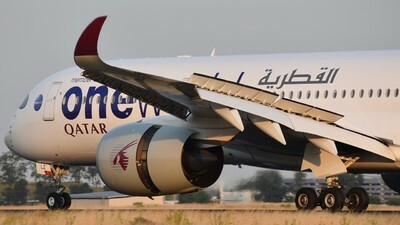 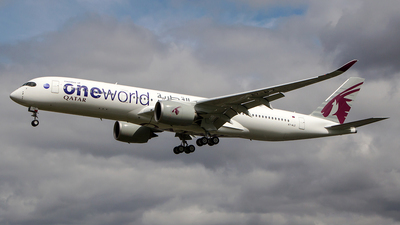 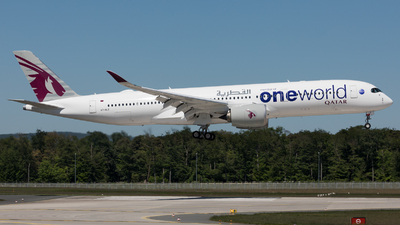 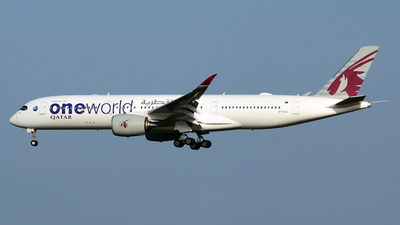 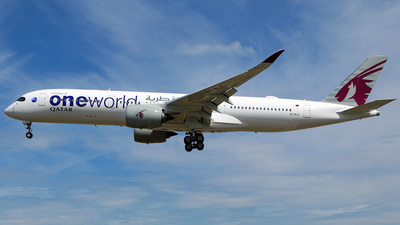 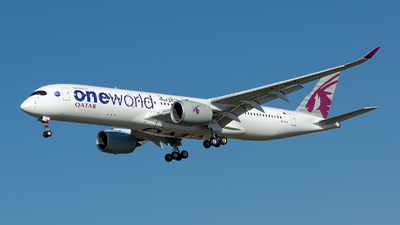 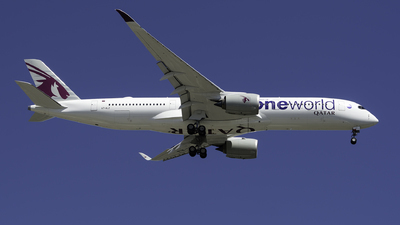 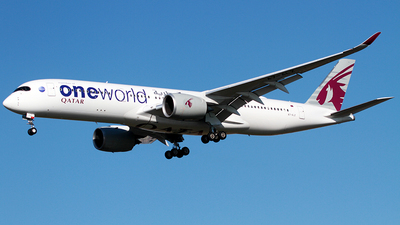 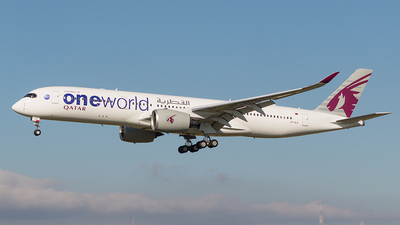 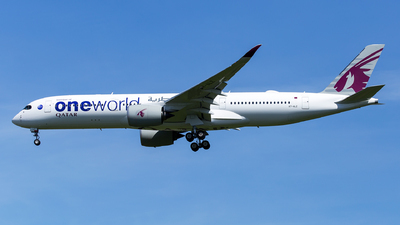 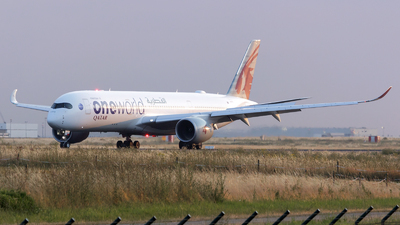 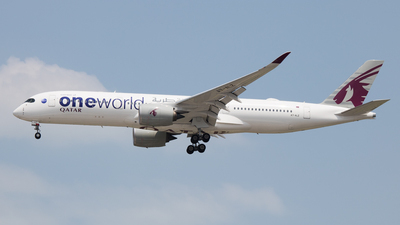 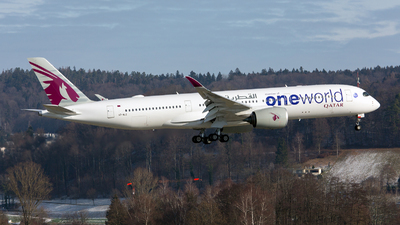 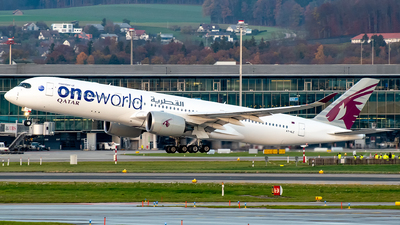 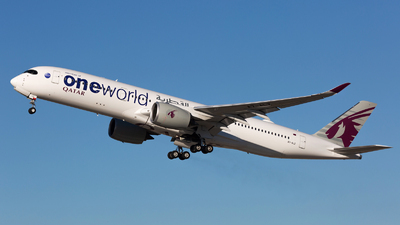 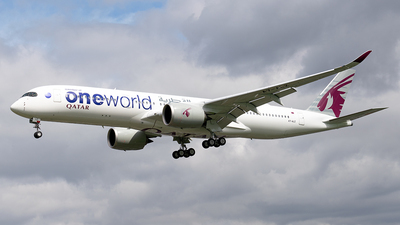 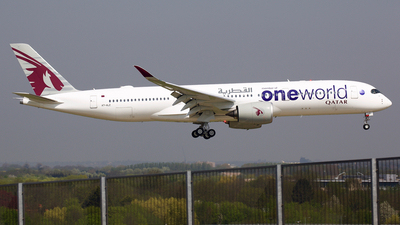 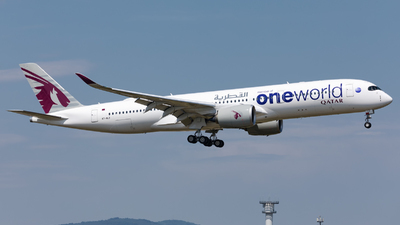 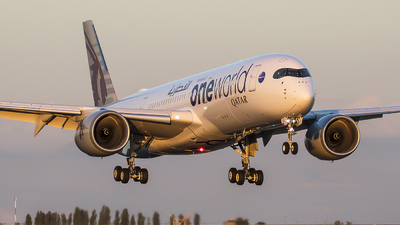 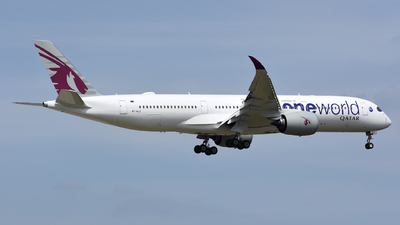 Note: [1920px] OneWorld taking off runway 07C as Qatari 68 to DOH at 17:52 hrs.